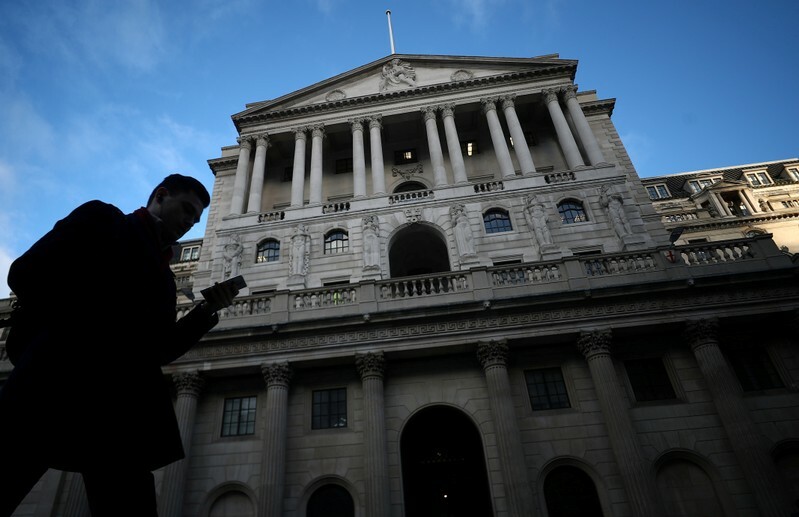 LONDON (Reuters) – The Bank of England is likely to keep interest rates on hold until August 2020 because of a slower global economy and prolonged uncertainty about Brexit, a leading think tank said on Thursday. The National Institute of Economic and Social Research pushed back by a year its previous forecast of a BoE rate hike which it made as recently as February. NIESR economist Garry Young said a weaker global economy, and its knock-in impact on oil prices and other imports, was impacting monetary policy around the world, while in Britain uncertainty about Brexit has also kept the BoE on the sidelines. “Now we expect the first increase in Bank Rate to be next August rather than this August,” he said. The weakness in prices of imports would help offset inflation pressure from rising wages at home, Young said. Britain is facing more uncertainty about its future relationship with the European Union after a deadline for Brexit was delayed from April 12 until the end of October this month. Last week, a Reuters poll showed most economists now expect the BoE to raise borrowing costs early next year. NIESR trimmed its expectation for British economic growth this year to 1.4 percent from its February forecast of 1.5 percent. It expected growth to pick up to 1.6 percent in 2020. The forecast was based on the assumption of a “soft” Brexit which avoids disruption at the Irish border and maintains a high degree of access to EU markets. The growth outlook would be slower if Britain ends up in a customs union with the EU, as favored by the opposition Labour Party, or if the country leaves the EU without a transition deal, NIESR said.